WhatsApp for iPhone has received an important update through build version 2.19.20. The latest update brings the anticipated biometric authentication that allows users to lock the WhatsApp on their iPhone models by deploying the native Face ID or Touch ID. The new feature, which has been in anticipation since October last year – when the new authentication addition was reported for the first time, works similarly to how you can lock Outlook or Signal on your iPhone. It essentially applies biometric authentication to open WhatsApp. However, the feature doesn’t add the additional security to your individual WhatsApp conversations. WhatsApp for Android is also in the rumours to bring a similar form of authentication layer in the coming future. 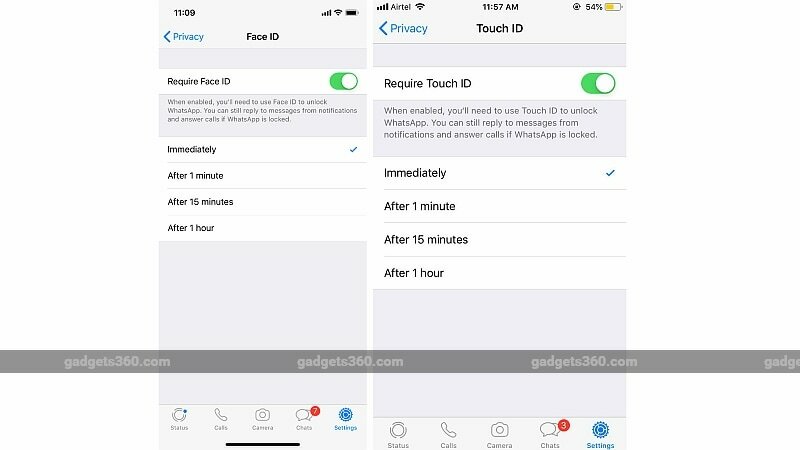 With the latest WhatsApp update, you can lock the WhatsApp app with Face ID or Touch ID by going to Settings > Account > Privacy > Screen Lock. 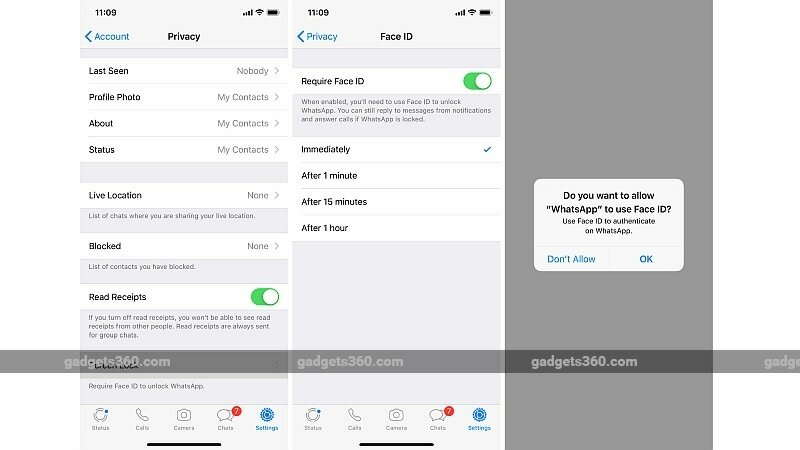 Once you moved to the Screen Lock screen, the app shows the available authentication method – either Face ID or Touch ID – that you can enable to lock your WhatsApp. You can also choose whether you want the biometric authentication requirement immediately or after an interval of a minute, 15 minutes, or an hour. The ability to unlock using Face ID or Touch ID on WhatsApp works similar to how Outlook and Signal are offering biometric authentication on their iPhone apps for several months. Further, the use of biometrics to unlock could help WhatsApp officially launch its payments feature in India and other markets. The feature is in the testing stage since February last year. Notably, Google Pay that also supports UPI-based transactions, is already supporting Face ID and Touch ID to enable biometric authentication. References of the new update were reported back in October last year. Recently, WhatsApp for Android was also reportedly found with some instances to support fingerprint authentication on Android devices.